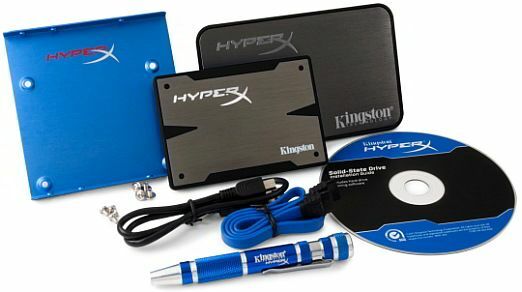 Kingston India has launched its HyperX 3K SSD series of SATA 6Gbps solid state drives, powered by the second-generation SandForce SF-2281 controller. Designed as a performance upgrade for budget gamers and builders, the HyperX 3K SSD series range starts from Rs. 8,500 for the 90GB model, with 120GB, 240GB and 480GB capacity models also available. The Kingston HyperX 3K SSD series offers sequential read/write throughputs of 555/510MB/s, maximum random read/write IOPS of 85k/74k, and MLC NAND (3k P/E cycles). It features SandForce DuraClass and DuraWrite technology for endurance and maximum life span even in intense environments. 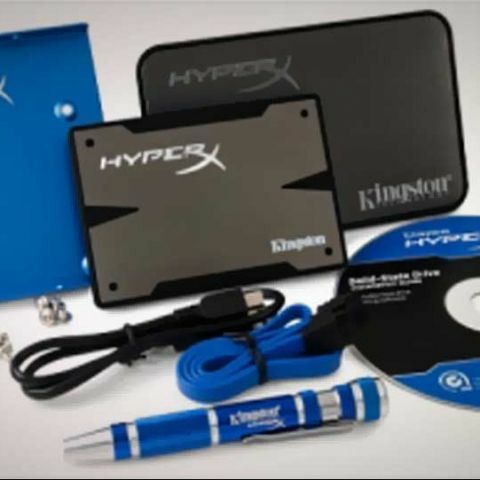 The HyperX 3K SSD comes in a black and aluminum case design, and can be bought either as a stand-alone drive, or as an upgrade kit with the necessary adapters. It comes with three-year warranty and free technical support. 3 Based on “out-of-box performance” with IOMeter 2008. 4 Test System: ASRock 67 Motherboard, Intel Core i7 2600k 3.4GHz CPU, 8GB System Memory, NVIDIA GTX 460 Video Card, SSD tested as secondary drive with results based on “out-of-box” performance. How to attach External GPU to laptop under Rs 3k budget?